This study tested a whole school intervention, known as Learning Together, to address the problem of bullying, aggression and violence. Learning Together involved staff training in restorative practice, a school action group and a curriculum for year 8-10 students on social and emotional skills. The school action group involved students and staff reviewing policy and survey material from students and planning new actions. Restorative practice included class time and, in more serious situations, restorative conferences. A total of 40 secondary schools in England were included and randomised to the intervention or control group: 93.6% of 7,121 students participated at baseline and 5,960 (83.3%) at three-year follow-up. They provided self-reported experience of bullying victimisation and perpetration of aggression. 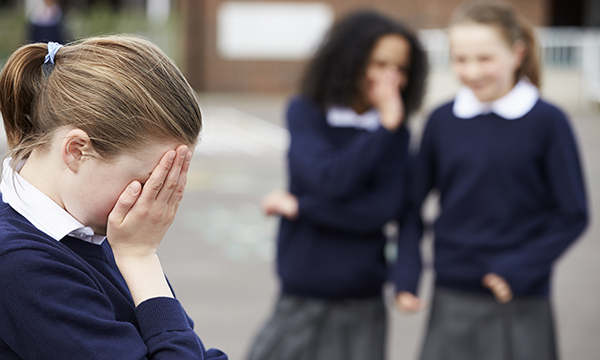 There was a statistically significant lower score of bullying victimisation, but not perpetration of aggression in the intervention schools. There were improved scores on criteria of well-being, quality of life, psychological function, reductions in police contact as well as alcohol, drug and nicotine use in the intervention schools. Interventions aimed at the whole school environment are likely to be the most feasible and efficient ways of addressing mental and physical health risks and improving health outcomes for children and young people.